In Kahndaq, Kara Zor-el continues her tutelage under the watchful eye of Black Adam. 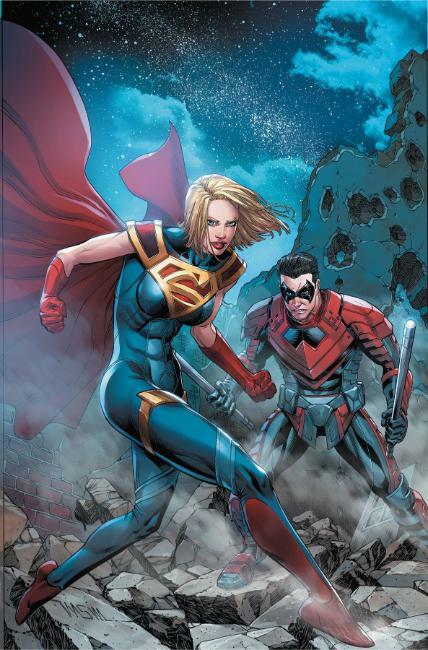 But Damian Wayne, visiting as an emissary of Ra's al Ghul, decides that it's time for Kara to begin her training, leading to the two of them out of the kingdom without Adam's knowledge or approval. Damian risks exposing another super-powered Kryptonian to a hostile world still recovering from the reign of Superman, and himself to wrath of Black Adam.